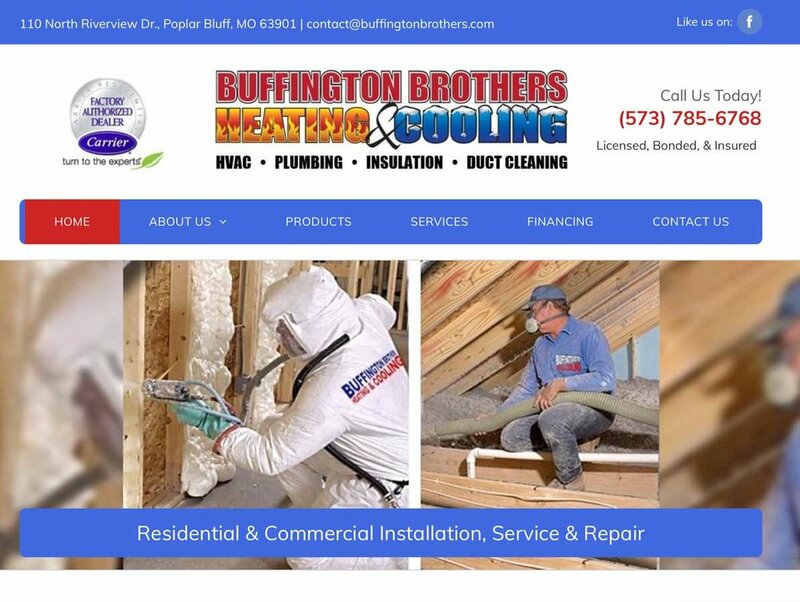 Buffington Brothers Heating and Cooling in Poplar Bluff. Camera Location: 1015 West Pine, Poplar Bluff, MO. SOUTHEAST MISSOURI RESIDENTS HAVE COME TO TRUST BUFFINGTON BROTHERS HEATING & COOLING FOR THEIR BUSINESSES AND HOMES.